Gabe Brown didn't set out to change the world when he first started farming, but after a series of crop failures threatened his livelihood, he started making bold changes that led him and his family on an amazing journey into a new type of farming: regenerative agriculture. 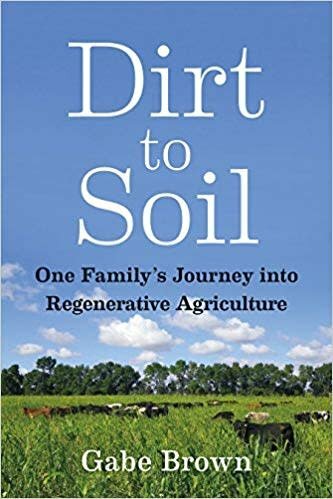 Dirt to Soil shares his story of desperation and hope, offering readers a wealth of innovative solution for growing soil, restoring the health of our ecosystems, and making a profit from a family farm. Brown has become the voice and face of regenerative agriculture around the globe, inspiring a movement that is reshaping the future of agriculture and the way farmers, consumers, and policy makers think about sustainability.